Kai Owens, right, a new competitor on the North America Cup, hit the podium in her first-ever Not-Am dual moguls event on Feb. 3. Owens is 14 years old and is a member of Ski & Snowboard Club Vail. VAIL – When it comes to graduating athletes onto the national ski team, few programs in the world produce as impressive results as Ski & Snowboard Club Vail’s moguls squad. That’s the takeaway from So Matsuda, a Japanese freestyle skier who watched Casey Andringa go from not making the U.S. Team to being the top finishing American at the Olympics in just a few months. Andringa, of Boulder, sought out Ski & Snowboard Club Vail for the man he called “arguably the best mogul coach in the entire world,” John Dowling. After watching Andringa’s story unfold, “I believe the Vail team is the best in the world,” Matsuda said. With a goal of making his own national team in Japan, Matsuda joined the club this year and started notching some impressive results. The 19-year-old is currently ranked third overall on the North America Cup (Nor-Am) — one level below World Cup — after winning a Nor-Am event in Vermont earlier this month and taking a pair of podiums in Canada Feb. 9-10. He has now earned enough results to make the Japanese team, which was his goal. But they don’t plan on stopping there. “I have a dream I want to get a golden medal, in 2022, in China,” Matsuda said. Matsuda is part of an all-new Nor-Am squad for Ski & Snowboard Club Vail this year, Campbell said. “It’s been fun working with a new group of talented young skiers,” Campbell said. 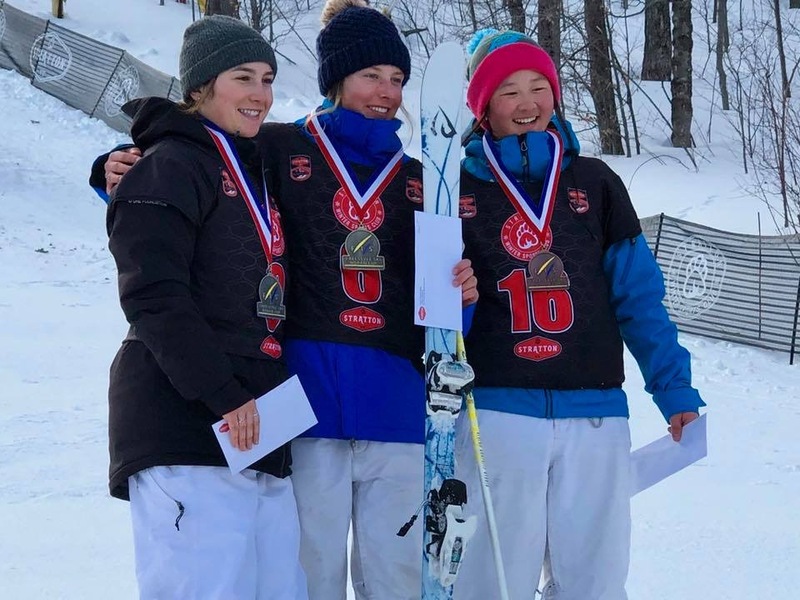 The skier who showcased the best combination of youth and talent at the first Nor-Am event the team attended this year was Kai Owens who, at 14, was the youngest athlete to make finals in Stratton Mountain, Vermont, on Feb. 2. It was the first Nor-Am event of her life. The next day, she hit the podium with a third-place finish in the dual moguls event, which also happened to be her first-ever Nor-Am dual moguls event after participating in moguls the day before. In the next Nor-Am events Feb. 9-10, Owens made finals in moguls and dual moguls once again, notching a pair of fourth-place finishes. “It has been impressive to see how strong of a start Kai has had at the Nor-Am level,” Campbell said. Tegan Large, 15, also a new member of Ski & Snowboard Club Vail’s freestyle Nor-Am squad, has made finals in her first two moguls events of this season, as well, on Feb. 2 and Feb. 9.